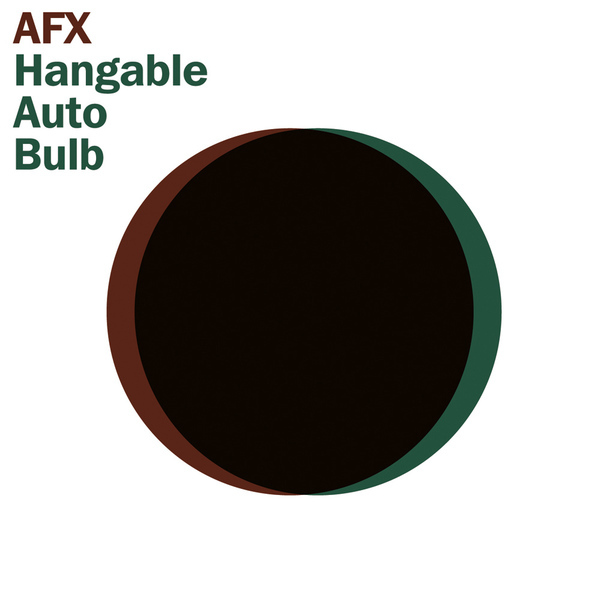 10 years on from their original release, and the lank haired digital marauder has seen fit to combine the previously only available on vinyl twin twelves pairing of 'Hangable Auto Bulb 1 & 2' onto a single handy CD, topping off what has been an extremely busy year for the AFX denizens. Pretty much the first time the world had heard the silicon scalpel nervous breaks and rhythms that eventually became known as Drill n' Bass - listening to 'Hangable Auto Bulb' now it's easy to see the germination of what would later become Aphex Twin's bread and butter; namely skittering beats, sporadic electronic cluster-f*cks and cavernous atmospherics. Given that we're now a full decade on from its inception, the likes of 'Children Talking' and 'Custodian Discount' sound almost unfeasibly fresh, particularly if taken alongside more or less any other electronic music from the era. So whilst 'Children Talking' is a precursor for the less fierce facets of the 'Come To Daddy' EP and the title track is a charming gamble through 'Girl/Boy' territory, it is the rain-lashed Vangelis synths of 'Laughable Butane Bob' and 'Every Day' that really make an impact; pulling on the heart-strings one moment, before smacking you in the nuts with writhing bags of Dante digital beats the next. I hope I age this well.